Rosario’s professional experience includes community development/organising, training and consultancy, project management, monitoring and evaluation, partnership development and fundraising. She has a diploma in Community Organising, a certificate in Business Administration, a Master’s degree in Voluntary Sector Organisation and Prince 2 Project Management, Foundation Level. Rosario has always worked for the non-profit sector, in England and the Philippines, where she is from. Alessandra joined LRMN after spending a year working as operations manager for Indian non-governmental organisation EduCare where she supported the implementation of a series of sustainable projects for migrant communities in the north of India. Alessandra also worked with the Council for at Risk Academics and at the British Red Cross. She has a Master’s degree in Development Studies from the School of Oriental and African Studies (SOAS) and is currently studying to become a Chartered Manager (CMI). At LRMN she manages different aspects of office operations, has established and currently leading LRMN's campaigning efforts and research and manages our comms. Andrew leads our Immigration Team specialising in problems of destitute clients, survivors of Domestic Violence and trafficking. He is a SRA IAAS Level 2 Supervisor, which means he has the necessary qualifications and experience to take on complex immigration, asylum and nationality matters. He has over 11 years’ legal experience in casework and appeals at the Immigration Advisory Service offices in Leeds, Oakington and Central London. He has advised on Fast Track asylum claims and bail applications at Immigration Removal Centres. He has also worked at Refugee and Migrant Justice and the Royal College of Nursing’s IAS, where he has given advice on EEA rights of residence, the PBS, settlement, nationality and employment queries. Elizabeth is an Immigration Advisor at LRMN. She started out as a volunteer here and, with a lot of help from the staff, was able to achieve her Level 1 OISC qualification within a few months. Elizabeth is very happy to be helping out the community and furthering her own learning at the same time. Elizabeth is originally from the USA and has lived and worked abroad for the last six years in France, China, Saudi Arabia, and now the UK. She is also a qualified yoga instructor and tango dancer. Sylvia joined LRMN in 2018 and is a qualified solicitor working within the Immigration department. She specialises in Immigration, Asylum and Nationality law and represents clients in applications to the Home Office and appeals before the Immigration tribunals. Sylvia is extremely passionate about this area of law and aims to achieve the best possible outcomes for her clients. Ola is a solicitor providing immigration and asylum advice. Ola specialises in working with women who experienced GBV (gender-based violence) and supports women who experienced or are currently experiencing domestic abuse, trafficking, FGM and more. 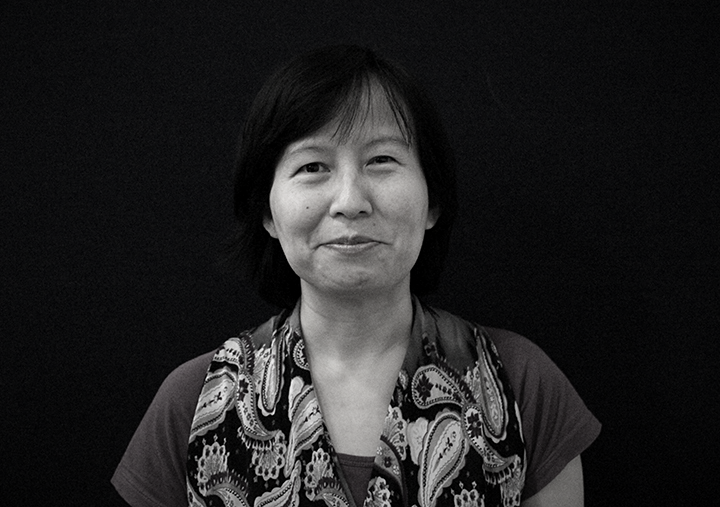 Thuy works within our Advice and Information team, providing legal advice on housing and welfare benefits. She completed her Economics degree in 1998 and obtained a post-graduate diploma in Law followed by the Legal Practice Course. She has worked under various Legal Aid contracts specialising in housing, welfare benefits, debt, employment and community care. After graduating with a law degree, Stephen studied for his Law Society Finals and then did his training at London Legal Aid firm Moss Beachley & Mullem, where he later practised as a solicitor specialising in housing, welfare benefits and employment law. Stephen then moved to Morrison Spowart solicitors, where he was frequently listed in the Legal 500 as one of London’s leading housing solicitors. Caroline is working within the Housing and Welfare advice team as an adviser. She is a part qualified ILEX; in 2000 she became a Citizens Advice trained adviser and in 2010 she qualified as a Debt Relief Order (DRO) Intermediary. Her expertise is in welfare benefits, housing and debt. Caroline also works with our Women Together Project as Advice & Advocacy Worker, providing specialist advice to women who suffered from Gender Based Violence. Cristina is a BACP accredited counsellor with experience and interest in trauma work. She manages the Women’s together Project activities and projects. Cristina offers one-to-one counselling and Play & Connect, a group activity aimed at strengthening the bond between mothers and their children. Elizabeth has an MSc in Development Management (Open) has worked in the development sector for the last 18 years. Elizabeth is very passionate about women and girls' health and rights issues and spent the last 15 years being an activist and a front-line worker on such issues particularly on female genital mutilation (FGM), child marriage, HIV & AIDS, and Obstetric Fistula based in Africa and the UK. She is a strong believer in providing opportunities as well as the value of creating a platform raising vulnerable girls' and women's voices is key for effective development programmes. Elsa is our Engagement worker for the Women's group being responsible for coordinating various sessions building the skills and confidence of women. Robin has an extensive background in Welfare to Work where he has supported marginalised individuals to remove barriers and maximise employment and education prospects. Having worked for providers who were also leaders in their field he is now employed as the Employment and Skills Advisor at the centre with the overall aim to help refugees and migrants in London improve their and their families quality of life. He offers one to one career counselling, employability training and general life coaching. El coordinates the Migrant Hub, our weekly drop-in service providing free advice and practical support to migrants in South London, and LRMN's Young Londoner's Project. She has experience as a coordinator, caseworker, researcher and volunteer at migrant and homelessness support services across London and working with young people in primary and secondary school. Both at the Migrant Hub and in the Young Londoner's Project she is working to ensure that legal advice and practical support is made accessible to individuals, families, children and young people who face barriers to or exclusions from mainstream support. Meena is responsible for LRMN’s finance and payroll. Meena reports directly to the CEO and also provides admin support. Meena is a member of the Association of Chartered Certified Accountants and joined LRMN in 2017. Prior to this, Meena occupied various finance roles in the not for profit sector and acquired a wide range of experience in financial management and reporting. Outside work, Meena enjoys swimming, cooking and spending time with her family.